Old Testament scholar Joe Cathey has travelled extensively, so I asked him to come up with a list of “essential travel for theologians,” based on his own experience. Joe divides his recommendations into four main sections: Africa, the UK, Europe, and the Middle East. Obviously this is not intended as an exhaustive list—so let us know if you have any other suggestions to add. In Africa, first visit Tunisia—this lovely area in North Africa is the birthplace of much of the Early Church (Augustine and Tertullian). Then go to Kenya, which is a lovely spot, especially on the coast. It is caught up with both the Old and New Africa. You should also visit Tanzania in order to see the poorer areas of Africa. If you visit one of the poorer countries, you have a sense of what Africa is really like. In England, visit St Paul's Cathedral, Westminster Abbey, Wesley’s Chapel, Salisbury Cathedral, St Mary de Crypt Church, Oxford University, Cambridge University, The British Museum, and The Cambridge Museum. In France, visit the Louvre (and eat in the nice restaurant “Brasserie de Louvre”), and make sure you spend at least a whole day at Notre Dame. In Switzerland, go first to Geneva. Visit the St Pierre Cathedral (the high point in French Gothic architecture) and the Lausanne Cathedral (one of the most beautiful of all gothic cathedrals). You must also take a trip up to Jungfraujoch while in Interlaken. 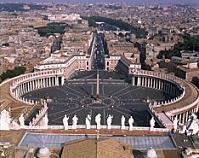 In Italy, the first place to visit is of course St Peter’s in Rome. You should take the tour of the Vatican; my favorite is of course the Sistine Chapel—absolutely splendid! Go also to the Roman Colosseum and the Catacombs of Callixtus. There are Roman cathedrals by the hundreds, so for these you should consult a reputable online guide or book. I had to see the Abbey at Mt Cassino, because it is where my Grandfather accepted Christ as his savior during the Second World War. In Israel, one of the first places to visit is Hafia, specifically the Hechet Museum. Moving down from Hafia you come next to Tel-Aviv, and you must go to the Beth Hatefutsoth, the museum of the Diaspora. One of the more beautiful museums in Israel is the Eretz Israel Museum. I absolutely love the Nechushtan Pavilion, but then again my interest lies in the ancient areas of Israel’s history. Interesting for biblical scholars are museums such as the Bible Lands Museum, the Israel Museum, the Babylonian Jewry Heritage Collection, the Rockefeller Museum, and Tower of David. Make sure you also take time to visit the Dead Sea, Qumran and Ein Gedi, Massada and the Jordan River. At a minimum I would want to see the Old City—Jerusalem, Megiddo, Hazor, Tel-Aviv, and some outlying areas. For the church historian there are so many sites that I can’t begin to list them all. The Church of the Nativity is of course a must for the first time visitor. The Church of the Holy Sepulchre would also be high on many people’s lists. Likewise the Western Wall is quite spectacular, and I would be remiss if I did not mention the Shrine of the Book. Elsewhere in the Middles East, be sure to visit Petra in Jordan (but please do not look for the Lost Cup of Christ, as Dr Jones has already found it), and Istanbul in Turkey.